Attack 1 : Weird but true!!! 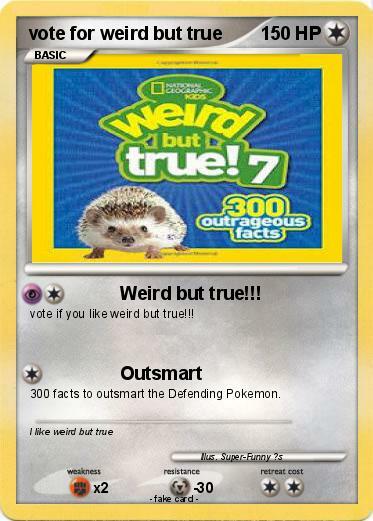 vote if you like weird but true!!! 300 facts to outsmart the Defending Pokemon.